At Anchor, we take great pride in the range of high quality, seasonally focused, and nutritionally balanced meals our chefs make available to customers on a daily basis. 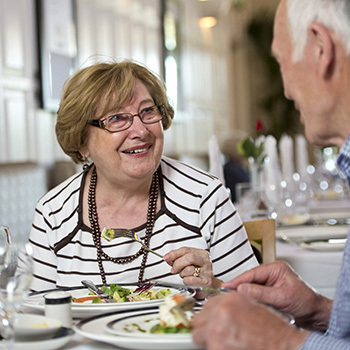 The meals served across our care homes are created not just with a deep understanding of each resident’s specific needs, but with an awareness of important personal role food plays in all our lives. After all, we all know that when it comes to food, individual tastes and preferences are everything. That’s why in all our homes, our catering teams make an effort to get out of the kitchen and speak to the people they cook for on a daily basis. We all have strong memories associated with certain recipes, foods, specific meals, and for our chefs, it’s important that the food they serve isn’t anonymous. By engaging with residents, finding out about their likes and dislikes, and discovering more and more about the people they cook for, Anchor chefs make sure that every meal they serve comes with a personal touch. To find out more about how our chefs deliver a person-centred approach to cooking, we went to our Dawson Lodge and Manor Court care homes and talked to chef managers Verity and Simon about the recipes they love to cook, and that their residents love to eat. We also spoke to residents Betty and Carol, whose stories illustrate that something as seemingly humble as cooking and sharing with others can actually leave a long lasting impact. 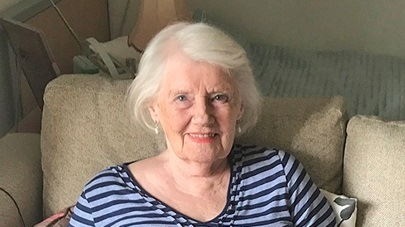 Carol lives at Dawson Lodge care home in Southampton. With a family spread across continents, she finds that food is an important aspect in getting people together and keeping in touch. 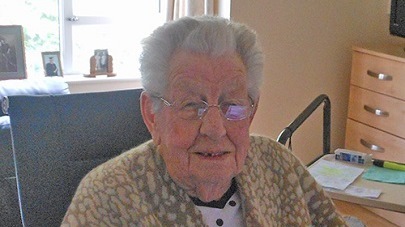 From growing up after World War One to working in a cookhouse during the Second World War, to passing down cookbooks to her children, a love of food has always been a constant in Betty’s life. 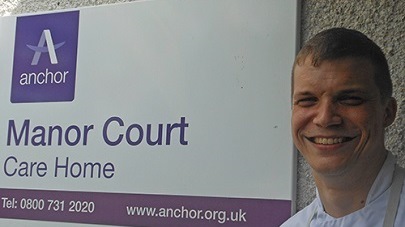 Simon Ferries is Chef Manager at Manor Court care home in Plymouth. Simon has worked in hospitality for over thirteen years, spending much of that time in the busy kitchens of hotels and restaurants. Verity's worked in catering since she was sixteen years old, starting out by serving fish n' chips and then cooking meals in a hotel before joining the Anchor team in Scarborough, 1999.